Before we get to the “best” I have to ask- anything specific you’d like to see on The Baker Chick in 2014? This Salty Honey Pie is one of the most delicious things I’ve ever baked or eaten. The texture is perfect and the combo of honey and salt is pretty spectacular. 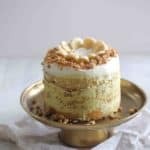 These Lemon Cream Pavlovas were a light and tart summery favorite that are perfect for upcoming citrus season. They are both tart and sweet, fluffy, creamy and light. – and aren’t they cheerful? Peanut Butter Cheesecake Brownies combine two of my favorite flavors in a creamy and rich brownie- to die for! Peanut Butter and Jelly Sandwich Cookies– Soft peanut buttery cookies with gooey PBJ filling- an obvious favorite! Perfect Blackberry Pie– really so so perfect. Amazing with fresh summer berries and also with frozen if you want to make it off-season! 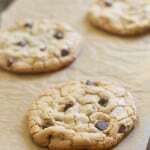 Chocolate Chip Cookies for Two – Another attempt at developing a small batch recipe proved hugely successful with these crackly, crisp and chewy cookies. Salty Caramel Ice Cream – This was my first time trying a new method and it was hugely successful. This ice cream was to die for. No-Knead Crusty Artisan Bread was one of the coolest things I discovered this year. I’ve made it countless times and it always it easy and perfect. 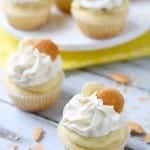 Creme Brulee Cupcakes– fluffy white cupcakes filled with creamy custardy filling and a crunchy sugar top. This was one of my better cupcake ideas I think! Buttermilk Berry Layer Cake– this cake was everything I wanted in a summer dessert. 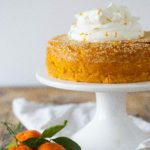 It was light- fluffy- fruity and a bit tart from the lemon whipped cream cheese frosting. Love it! No-Bake Cheesecake with Quick Blueberry Sauce– Perfect creamy cheesecake for those hot days when you just can’t bear to turn on your oven! 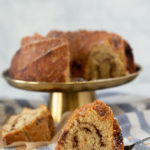 Easy One-bowl Pumpkin Bread – this one is just too easy for how good it tastes. 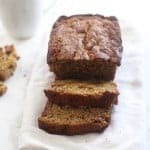 I made countless loaves this fall and plan to have it as a standard recipe for years to come! Quick and Easy Tortellini Soup– You guys loved a savory recipe and that makes me so happy! What’s not to love about this oh-so easy and delicious soup? 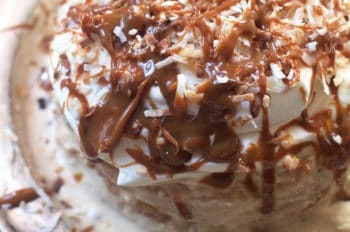 Salted Caramel Vanilla Bean Layer Cake- I made this as a mock-up of my wedding cake and my version may have been even better. These flavors are hard to mess up! I really want to make the salted honey pie! There are definitely lots of favorites here. Happy New Year!! I have made several of these “best of the best” recipes, but my favorite has to be the tortellini soup! I have made it many times and it is just perfect on a cold night or after a long day at work. 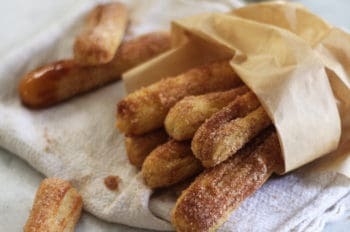 So fast, easy, and delicious! Thanks so much for all of your hard work and have a great 2014! It’s sure to be special for you. Wow, what an exciting year you are going to have! Let’s make plans soon… and I can’t wait to meet your little baby! I made your make ahead dinner rolls on Christmas Day and they turned out perfectly! 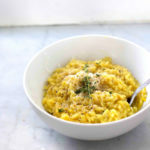 Thank you for your blog and for the wonderful recipes that you share with us! I need to make that honey pie! I see so many treat I want to make!! 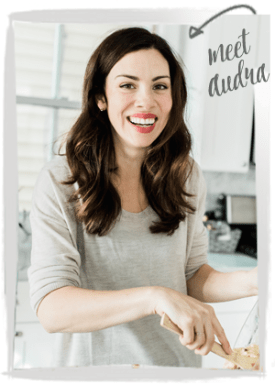 What a delicious year Audra!! Here’s to a fabulous 2014! Happy New Year, friend! I am SO glad we got to meet in July, and I really hope to see you (and your sweet little man) next year! 2014 is going to be so awesome for you. It was great to meet you at BSP! Looking forward to more savory (and of course sweet) recipes. Happy New Year, Audra! I NEED that salty honey pie in my body so, so bad!! Annnnnd everything on this list! I also just found out that where you are from is essentially where I live. Small World. I am SO glad I got to meet you this year too. Hope to see more of you soon! I would love to see more of the same, of course! Everything you come up with is AMAZING. I would also love to see a few gluten-free recipes every now and again. Maybe even some paleo-friendly recipes too! I go through phases where I stick to these diets for a month at a time. 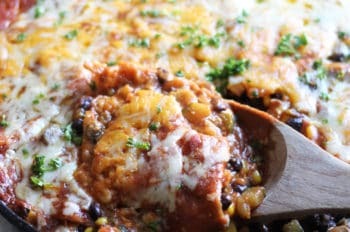 Would be so great to try some of your recipes if you have any! Happy New Year! It’s going to be an incredible one for you, I’m sure! You got it! I’m actually planning a gluten free cookie for during my “maternity leave” that is to die for! You made some seriously gorgeous recipes last year! I can’t wait to see what you do next! 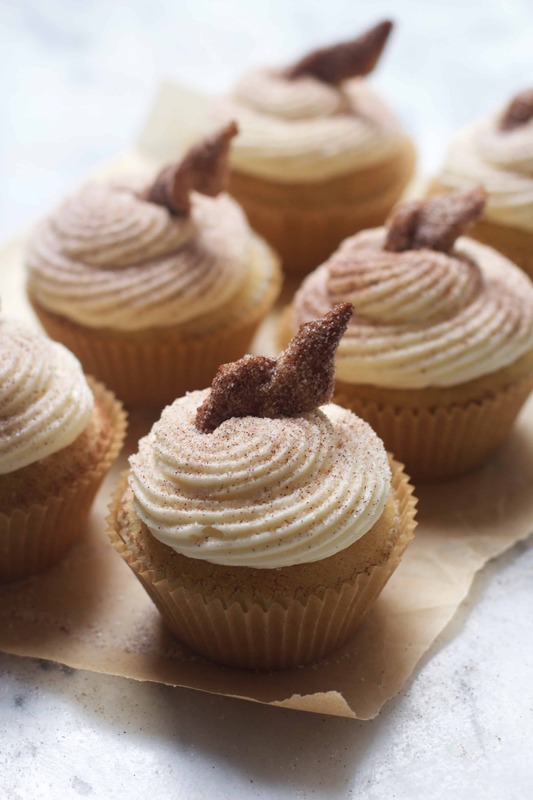 How did I ever miss those creme brulee cupcakes the first time around? They look inspired!